The nationally important Whinfield coke ovens were the last working beehive ovens in the country, and today are preserved as a testimony to the important role that coke production played in the industrial growth of both the North East and the country as a whole. 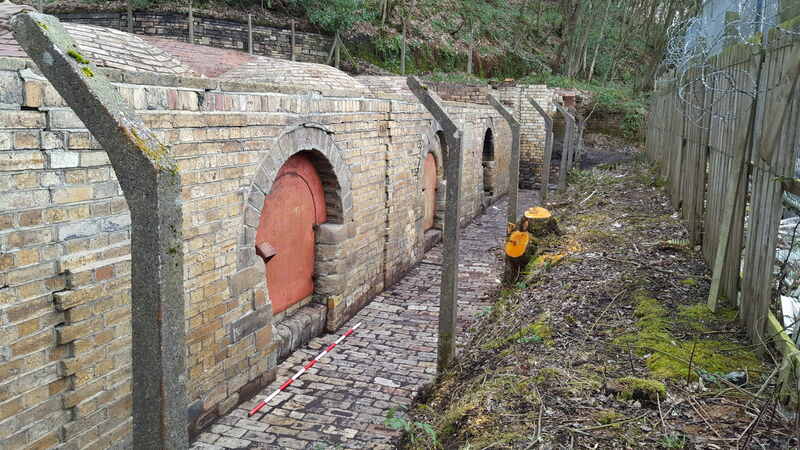 There were originally 193 coke ovens on the site, which was built in the 1870s by George Hepple Ramsay as part of the Victoria Garesfield Colliery. Both the colliery and ovens later became part of the Priestman empire, operated by Priestman Collieries Ltd until they were taken over by the National Coal Board in 1947. The works finally closed in 1958 and much of the plant was demolished. However, five complete and two partial ovens were preserved for the nation. 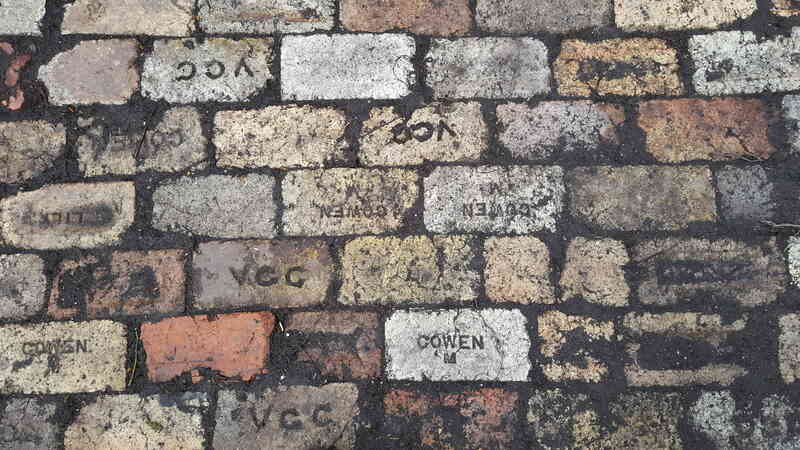 They were registered as a scheduled monument in 1975. 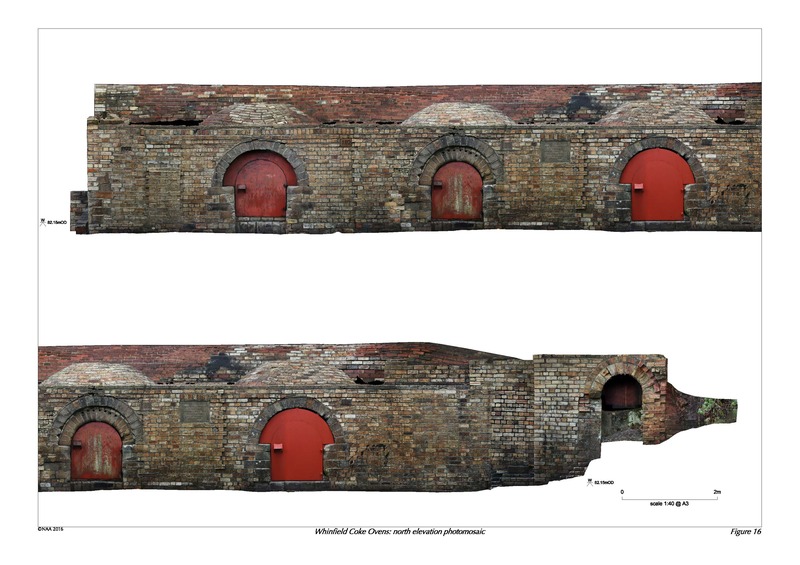 Northern Archaeological Associates were commissioned by the Tyne and Wear Buildings Preservation Trust to prepare the first detailed survey of the remains of the ovens, using Structure-from-Motion technology to produce survey-accurate photo elevations and plans. 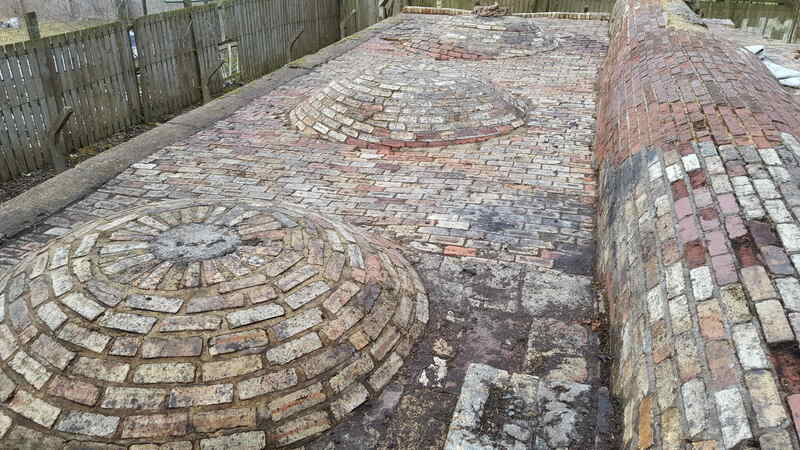 These were used to inform the restoration of the ovens as part of the Heritage Lottery funded Land of Oak & Iron Landscape Partnership. The Building Survey report from this project can be downloaded here.